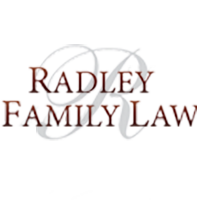 Issues of child custody are among the most emotionally charged aspects of the divorce process, and a Radley family lawyer can help you make the right decisions for both you and your children. Our team will help negotiate a fair, reasonable child custody, access, and child support scenario that places the well-being of your family front and centre. Child custody and access agreements determine with whom the child or children will live, and how often the non-custodial parent will have access. Your family lawyer will examine what set-up will best serve the child, and negotiate joint, sole, shared, or split custody arrangements. We understand that this is an extremely sensitive and emotional issue. No parent wants to be separated from their kids. It is our duty to ensure our client’s best interests, and the best interests of their children, are represented.